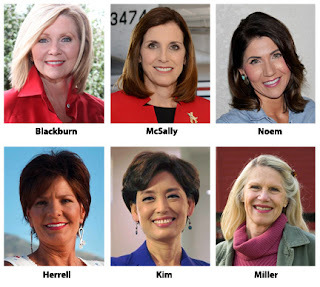 by Jody Rushton; The National Federation Of Republican Women (NFRW) is celebrating the historic elections of several Republican women to federal and statewide office on Tuesday. Marsha Blackburn is the first woman elected to the U.S. Senate from Tennessee, and Kristi Noem will be the first woman governor of South Dakota. Martha McSally, who is currently ahead in the vote tally in her race, will be Arizona's first woman senator if she wins. "We are proud of the distinguished leadership and successful candidacies of these Republican women, and we are proud of their commitment to our organization," NFRW President Jody Rushton said. "We look forward to continuing to work with them after they take office in January." The NFRW is also celebrating the election of at least three new Republican women to Congress. Young Kim won her race in California's 39th congressional district. She will be our nation's first Korean-American congresswoman. Yvette Herrell was elected in New Mexico's 2nd congressional district, while Carol Miller was elected in West Virginia's 3rd district. In addition to Noem, at least 10 new Republican women were elected to statewide executive office, including lieutenant governors Jeanette Nunez of Florida, Janice McGeachin of Idaho and Pamela Evette of South Carolina, and more than 165 new Republican women were elected to state legislatures. Moreover, despite a few disappointments, most Republican women incumbents won reelection. "President Trump and Republicans have a lot to savor today," Rushton said. "We held back the so-called Democrat blue wave to a ripple, gaining seats in the U.S. Senate and retaining many of our crucial state offices and legislative chambers. Thank you to Republican women across the nation for working tirelessly for victories in your states and communities. 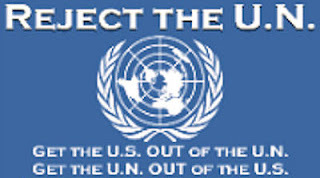 Your grassroots efforts are second to none." National Federation of Republican Women is the largest and most influential Republican women's group in the nation, proudly representing the party that first made it possible for women to vote in the U.S. The NFRW works to increase the effectiveness and relevance of women in the cause of good government. Our mission remains to recruit and elect Republican candidates, promote the principles of the Republican Party, educate the public and inform the media. Tags: NFRW, Republican Women, historic victories, 2018 election To share or post to your site, click on "Post Link". Please mention / link to the ARRA News Service and "Like" Facebook Page - Thanks!